Antivir has long been one of the most popular downloads on Download Central.dk. That's why it was also with great excitement we tested the new version 7 for changes. Had H + BEDV Datentechnik, the manufacturer, even worsened the free version to get more buyers for the premium version? But a big surprise and a little surprise, we could see that H + BEDV Datentechnik had actually chosen to make Antivir even better for non-paying customers. And this is a rare sight nowadays it has to be said. Antivir has always been effective in finding and removing viruses, but the layout has not been so exciting and you have to update manually whenever it is necessary as it is several times a week when it is an antivirus -program. In version 7, H + BEDV Datentechnik has made the layout nice, the program even more user-friendly and last but not least, there is now automatic updating included in the free version of the program! All of this has also made it possible for us at Download Central.dk to give AntiVir the top five star rating, which actually makes it the antivirus program we recommend to everyone else. 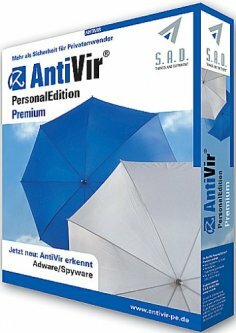 If you do not have any anti-virus software, not yet updated for version 7, for fear of delinquency, or do you have an expensive commercial antivirus program that you are not happy with, try AntiVir Personal Edition 7. See the full antivirus section: Antivirus.